The image behind the Award. It has been said that, "Leadership is an action, not a position." This is more than apparent throughout Africa. Though many seek the position few provide the action. It's also been said that, "Peace is not something you wish for; It's something you make, something you do, something you are, and something you give away." After 14 years of upheaval and corruption, Liberia has found herself on the path to a peaceful and honest future. 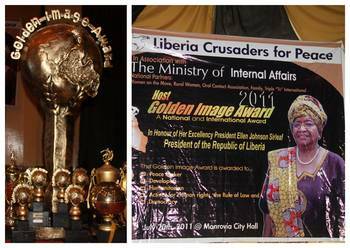 It follows that we should strive to recognize and reward those successful leaders and philanthropists who are able to deliver tangible results and impact driven programs that will not only showcase leadership but also promote harmony throughout Liberia. 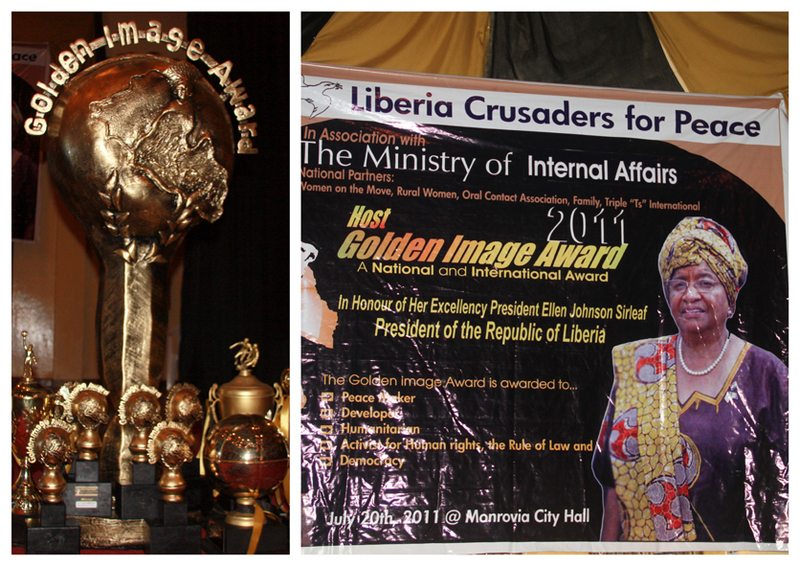 The Liberia Crusaders for Peace in has envisioned and wish to implement a Liberian Leadership Recognition Initiative code named and styled "Golden Image Award" which intends to celebrate the successes of leaders and philanthropists with respect to their sacrifice, contributions and professional accomplishments and achievements around the World in both the public and private sectors.